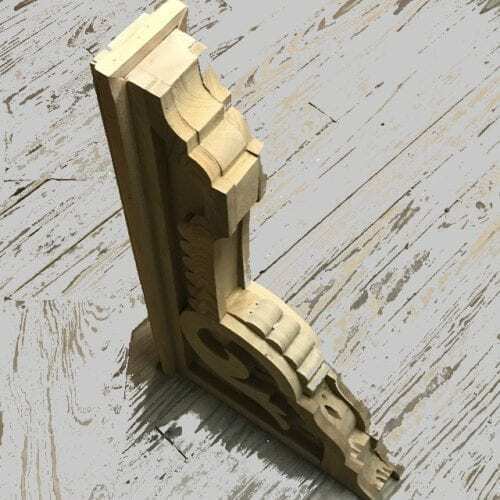 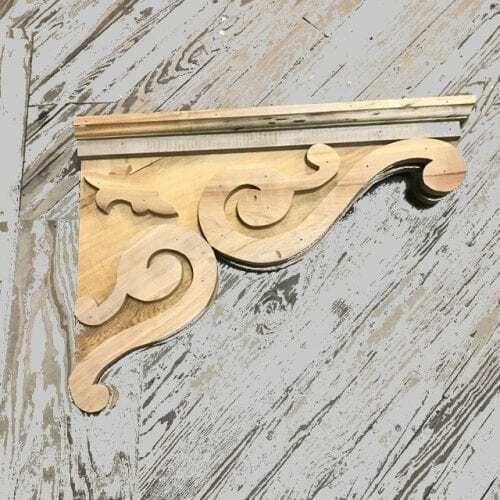 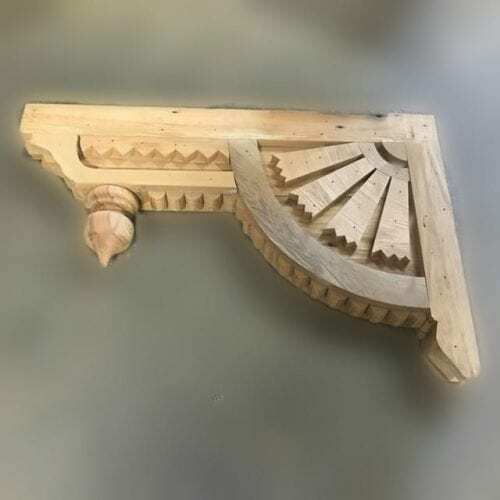 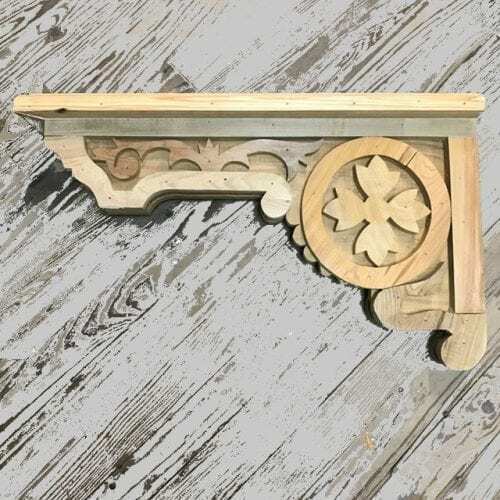 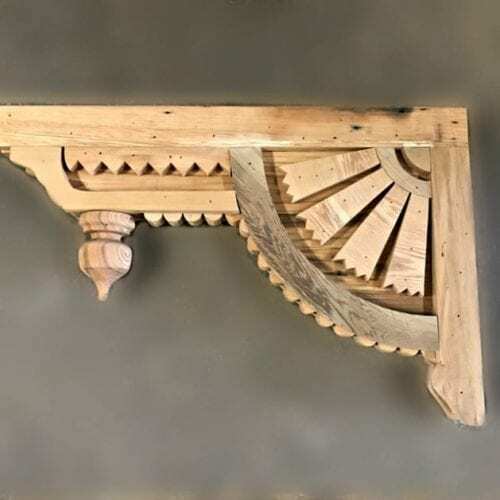 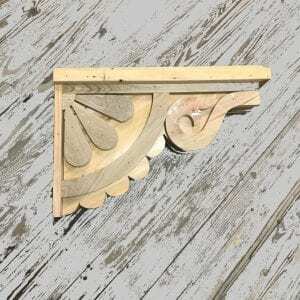 We can create this bracket (Custom Bracket 5) from reclaimed cypress for your project. 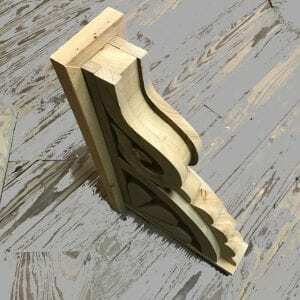 The bracket measures 24″ x 16″ x 4″. 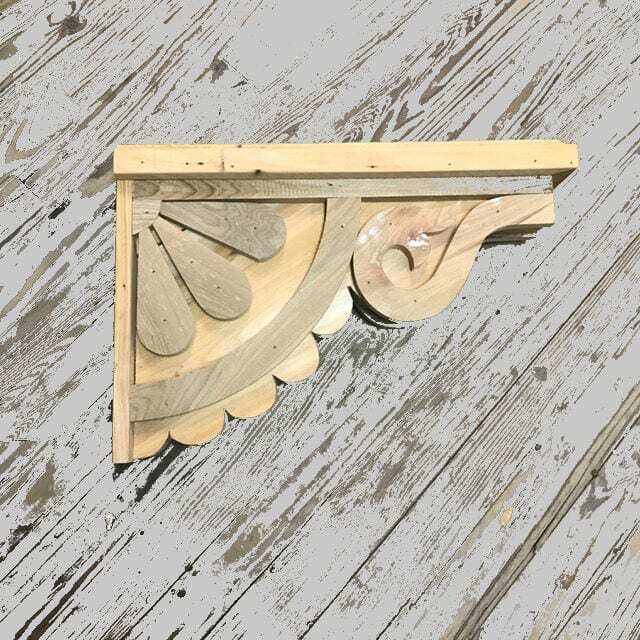 These are all made to order and may take up to 3 weeks to complete, depending on the size of the order. 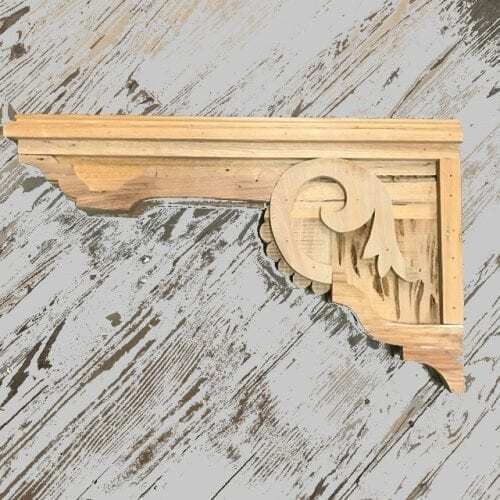 Any finials for the end of the bracket are sold separately. 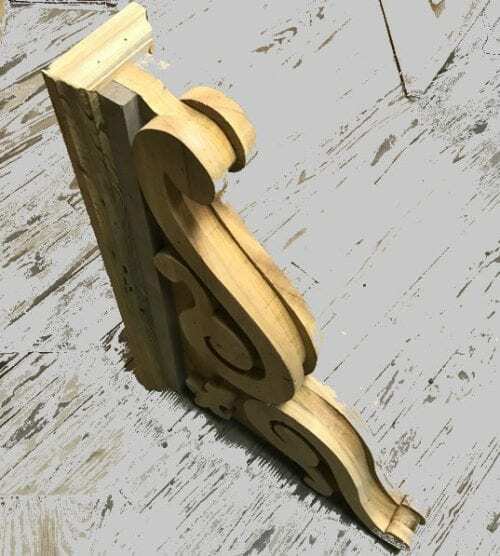 This item is too large to ship UPS but please call 504 488 5524 and one of our team members would be happy to get you a freight quote.